Every leader faces pressure. How you handle that pressure matters. Do you attempt to avoid it and let it conquer you, or embrace it and use it to your advantage? 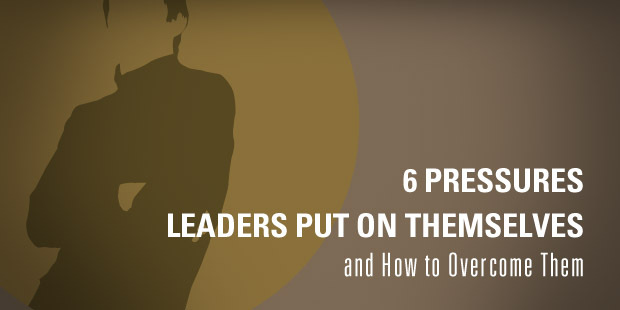 In most situations, leadership pressure will increase as the church gets larger. So be careful what you pray for, you just might get it. I don’t say that with sarcasm, I say that with thoughtful sincerity to help you be prepared. One of the most common pressures in any organization, and certainly the church, comes from finances. No matter how spiritual we make the mission (and it is fully a spiritual endeavor) we cannot escape the reality of paying the mortgage, the rising costs of staff, and never-ending demands to fund meaningful ministry. We add to that the pressure of being good stewards (wise and strategic with measurable results) of God’s money generously given by His people. I’ve never, yes never, not even one time ever heard a church say they have too much money. I smile as I write this because I would love to hear a pastor stand on the platform and just once say: “Please, please dear people, stop giving so much money. The bank won’t take any more, we’ve given millions away, and we’ve filled all our huge safes full with cash and gold. We are now starting to bury money behind the church and to tell you the truth, the staff is getting tired of digging those big holes.” Ridiculous I know, but I’d pay good money to hear that for real! In fact, more churches than not face a shortage of income to budget. Then we add to that the truth that God asks us to trust Him by giving even more away. The stories I could tell you of churches slashing their ministry budgets, being forced to lay-off staff and some even losing their buildings are staggering and many. But I don’t need to tell you because you know many of these stories yourself. You may be facing your own financial pressure as you read this article. Finances are a type of situational pressure. Similar to a shortage of staff, or being out of space for more people in your worship auditorium, or your parking lot is just too small. But not all pressure is situational. 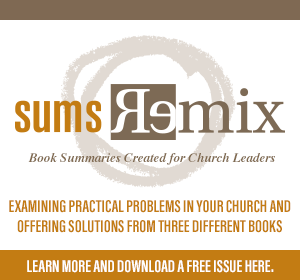 In fact, as difficult as these circumstances can be, there are other kinds of pressures that determine how well you will handle the common realities of local church leadership. Let me talk about six of those pressures and offer a few practical insights to help you deal with them. • Internal Pressure – The pressure you put on yourself. It’s important to exercise this kind of personal internal pressure. It’s how you get things done. This is a good and healthy thing. However, all too often leaders put too much pressure on themselves. Such as, the pressure to perform at sustained and near superhuman levels with little rest, pressure to make people happy and pressure to achieve. This is a major caution and something to pay attention to. The million-dollar question is how much is too much? It’s a fine line, but there are clues that let you know. For example, do you take a day off? Can you relax and not feel guilty? Do you have trouble walking away from your smart phone after hours? If you aren’t sure, ask a couple close friends or colleagues. • Transferred Pressure – The pressure to assume others problems. I find myself unwisely falling prey to this pressure. Someone in the church, for example, tells me about a financial problem they are facing. Immediately I care, that’s normal, but then something happens inside where I begin to feel responsible to fix it. That kind of pressure, transferred pressure, is not good or healthy. Imagine if you or I actually had to carry the responsibility to solve everyone’s problems! That’s not possible! Instead it’s wise to express your genuine care, offer counsel and pray. If in that process you sense that you can help, or the Holy Spirit prompts you to take action, then do it. • Peer Pressure – The pressure others put on you. You remember peer pressure was in full force by Middle and High School. It’s supposed to end there, but often doesn’t. It’s not uncommon for pastors and church leaders of all kinds to wrestle with guilt laden pressure to attend every event, pray more, fast more, drive a more modest car, diet, and the list goes on. The issue at hand may be something good, like praying more. But when legalism enters the picture what was good turns to an unhealthy pressure. Let me say this bluntly. There comes a time when you must stop caring what everyone else thinks. Listen to God and your close advisors. That’s enough. • Wasted Pressure – The pressure that results from lack of discipline. I call this one “wasted” pressure because of all the pressures listed it’s the most unnecessary. It’s the most avoidable. The most common form comes from procrastination. You might wait until Saturday to start your sermon, or you didn’t mail in a bill that you had for two weeks and now it’s late with penalties, or you waited until April 14th to do your taxes. So now you endure major pressure that you didn’t need to. If you instead exercise a modest amount of discipline you can avoid these pressures nearly entirely. Easy to say, I know. But it’s true. I’m just trying to help relieve your pressure! • Personal Pressure – The pressure all families deal with. Unlike wasted pressure, this is one you can’t avoid. All families face pressure. If you are married, you understand. Conflict is human. If you have kids you really get it. Doing family well is hard work, but the good news is that it can be done! Pressure relief valves make a big difference. Relieving family pressure is not accomplished by avoiding your family. One of the best ways is to have more fun together. Play more! Enjoy each other! Put effort into fun – everything from playing games to family vacation! • Temptation Pressure – The pressure to sin. I received an email from a friend this week about her pastor who resigned due to an “indiscretion.” It is always heartbreaking to hear this kind of news, and the truth is that none of us are exempt. We are all tempted, but we don’t have to give in. The first step is to know your weakness. Know where you are most vulnerable, then you can make a “battle plan” to not give in. I encourage you to be honest with two or three close confidants and trusted friends. Talk on a regular basis about your temptation. Sin does well in darkness, but is conquered in the light. My purpose in writing is to stir your thoughts about the origins, sources and remedies for the pressure you face. When it’s all said and done, there is nothing like the presence of God to help you navigate these pressures. But the more you understand about these pressures, the better you can take them to God. This article is used by permission from Dr. Dan Reiland’s free monthly e-newsletter, “The Pastor’s Coach,” available at www.INJOY.com. 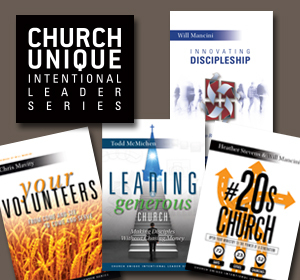 8 Charts Depicting Cultural Change: How Will Your Church React?